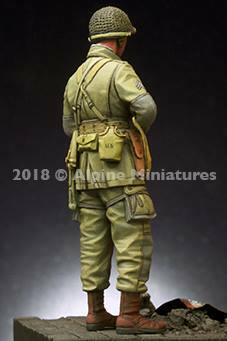 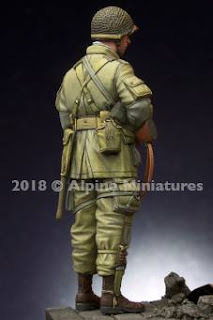 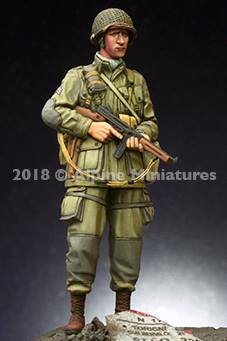 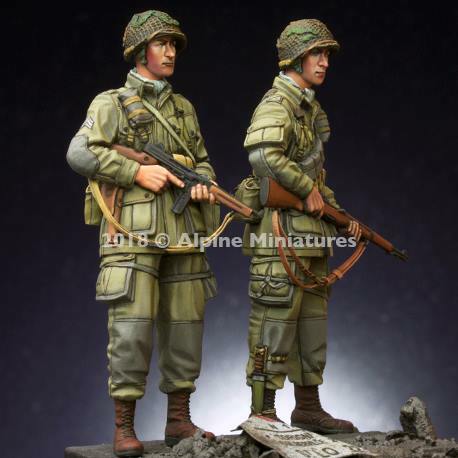 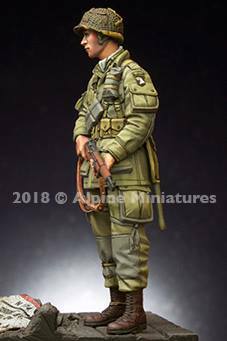 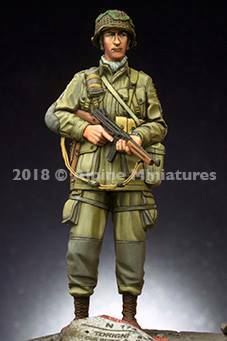 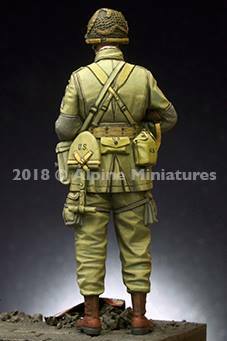 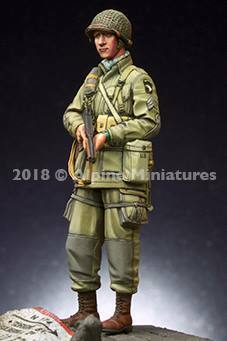 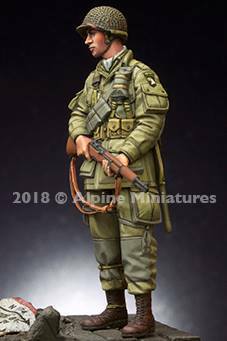 Alpine Miniatures five new items for June 2018. 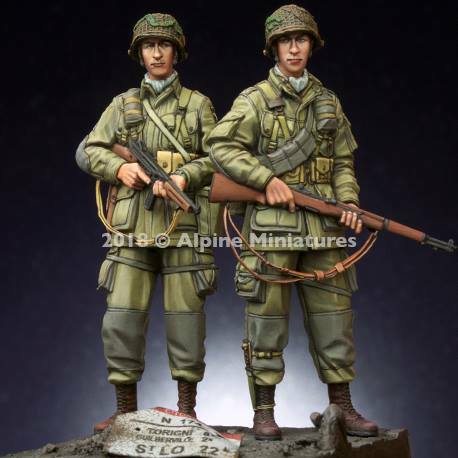 Two new sets of heads to upgrade your own or someone else's sculpt and two new figures, single and sold as a pair are the subject of Alpine Miniature's new releases this month. 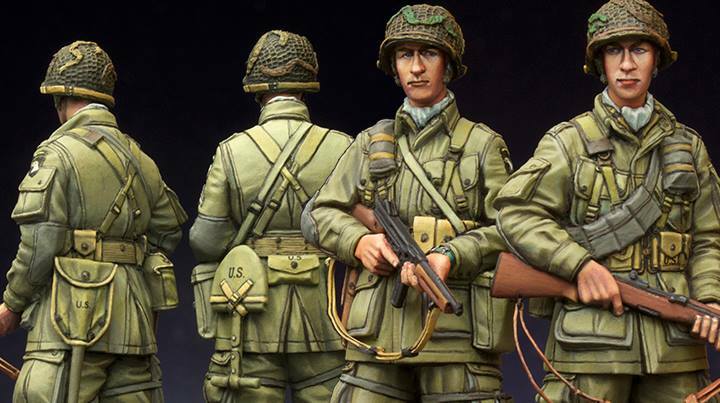 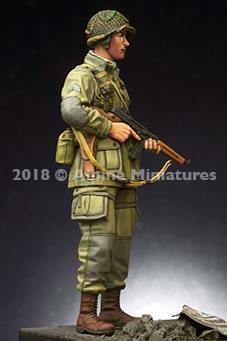 The two 35th scale paratroopers belong to the US 101st Airborne Division in WWII. This unit is one of the most famous of the US divisions during the war and it is still insecure till this day. 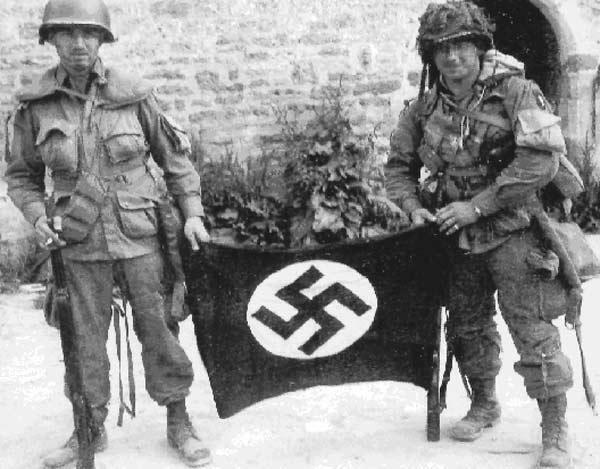 Made even more famous by the Mini-series "Band of Brothers", this unit had many famous images attached to it from the battlefields of France, Belgium, Holland & Germany during WWII. 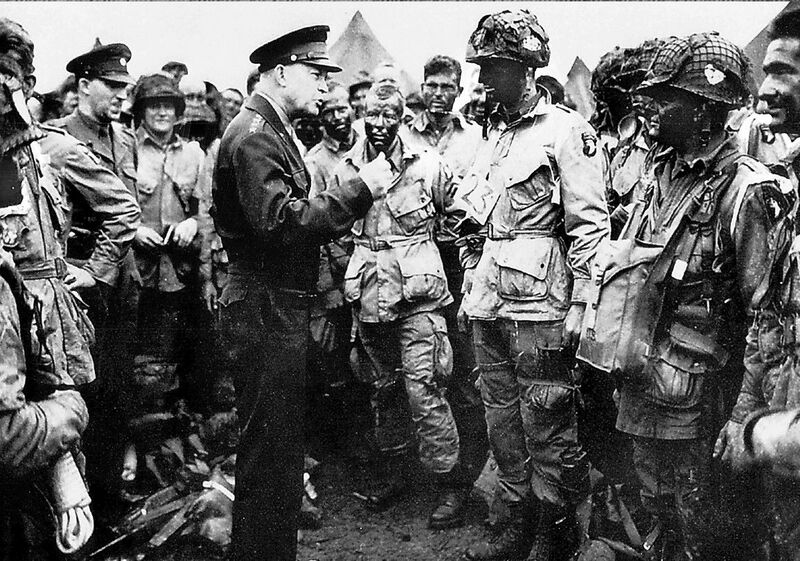 This one of "Ike" talking to the troops before D-Day is perhaps the best known of the 101st during the war. 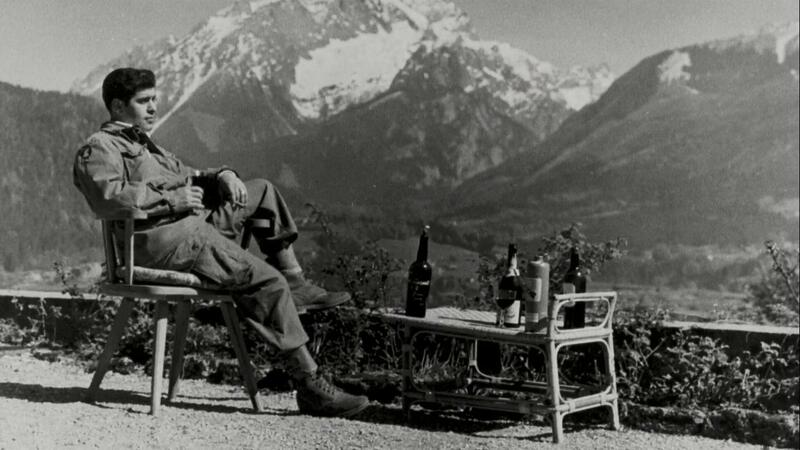 One of the victorious 101st Airborne Division enjoying the view and a cognac at Berchtesgaden in 1945. The first of the figures see an NCO of the 101st, the "Screaming Eagles" as the subject. 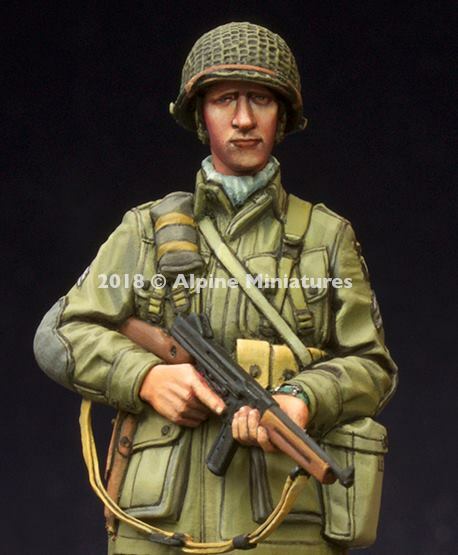 The soldier comes with two headgear choices that are close to each other in that they both have the same M1 parachutist helmet with usually a large chin strap to better secure the helmet on a parachute drop, but one of these comes with burlap (hessian) or some type of similar material fed into the loops of the Jump helmet's mesh for better camouflage. 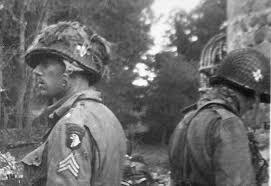 The helmet is a little like the one on this man from the 326th - part of the 101st in Bastogne in 1944. 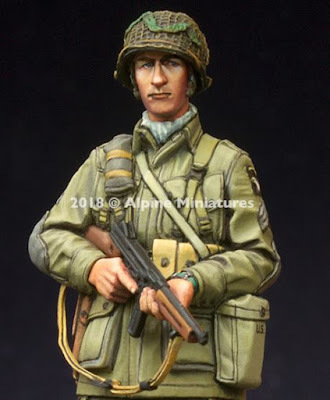 You can see this NCO is carrying a squad leader's weapon, the Thompson Submachine Gun, popularly called the Tommy Gun, the Thompson in all of its variants served on virtually every front during World War II and the nature of the rapid-fire 9mm bullets combined with the box clip of twenty bullets and compact size and weight made this a highly desirable gun for the paratroopers. 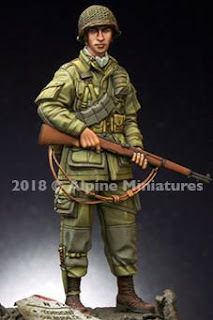 The only real drawback of the Thompson was that it was a time-consuming gun to manufacture. 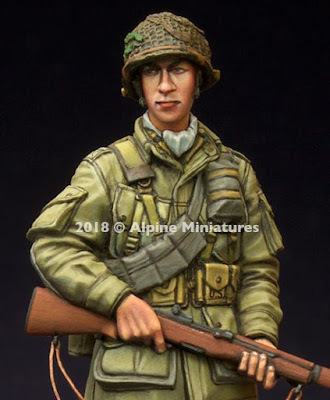 During the course of World War II, additional research and development resulted in the M3 “Grease Gun” which, with little imagination, one might describe as an American STEN, being a mostly stamped metal alternative to the primarily milled Thompson. 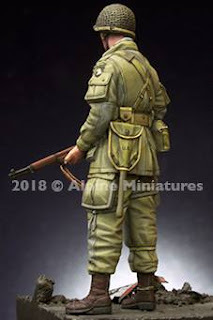 By late 1944, the M3 and the Thompson were serving side by side, with the soldiers normally jumping with 300 rounds equipped, 14 x (20 rnd) clips in jump suit pockets or M6 carrying bag. You can see that this paratrooper is wearing the regular battledress of the US Paratroopers, with the M42 or M43 jumpsuit which featured slanted below pockets and flaps secured by two snaps on each flap. The 101st M42 suits were turned-in after Normandy, to be replaced by green M43 combat suits for the duration of WW2so it would depend on when you wanted to depict this soldier as to what you wanted him to wear. 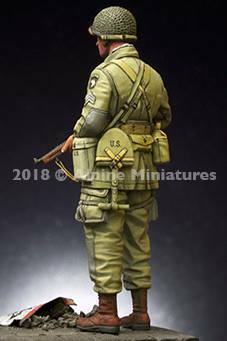 The First Airborne Task Force used them in Operation Dragoon in August 1944, and the 504 PIR (82nd Airborne) jumped into Holland wearing them in September 1944. 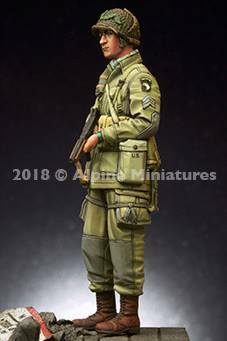 He wears the Airborne Riggers modified M42/ m43 jump trousers with an added strip of treated canvas to the edges of both cargo pockets. 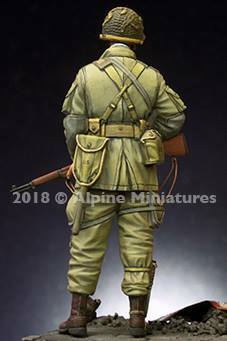 They also applied knee patches of the same material and attached tie-down tapes of 3/4" khaki web material to the inseam of each thigh. 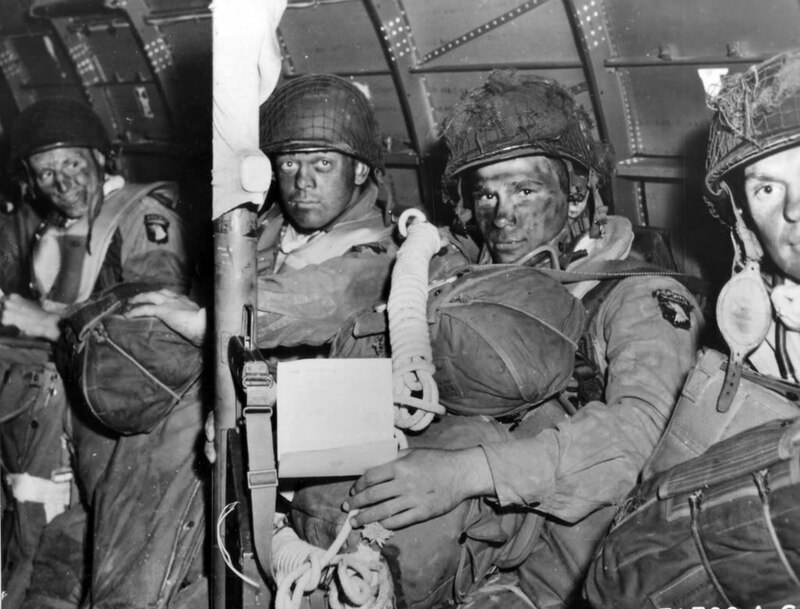 The tapes could be wrapped around each cargo pocket and tied, as shown to help secure the pocket's contents. In his webbing, he carries the water bottle, spare ammo pouches, M6 carry bag, an entrenching tool, and a medic pack on his rear. The NCO carried an M1911 pistol in its holster in his belt. 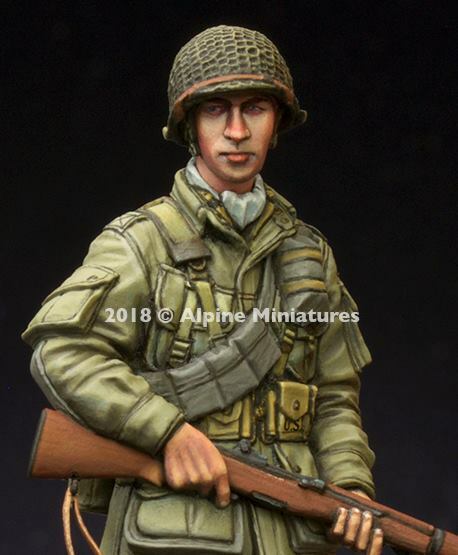 This regular soldier of the 101st sports the same M1 steel helmet like his NCO comrade, again he has the net covering the helmet on both, but the choice here is whether you like the extra material for the helmet as camouflage. 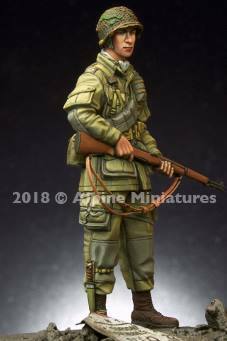 He carries with him the M1 Garand semi-automatic rifle. 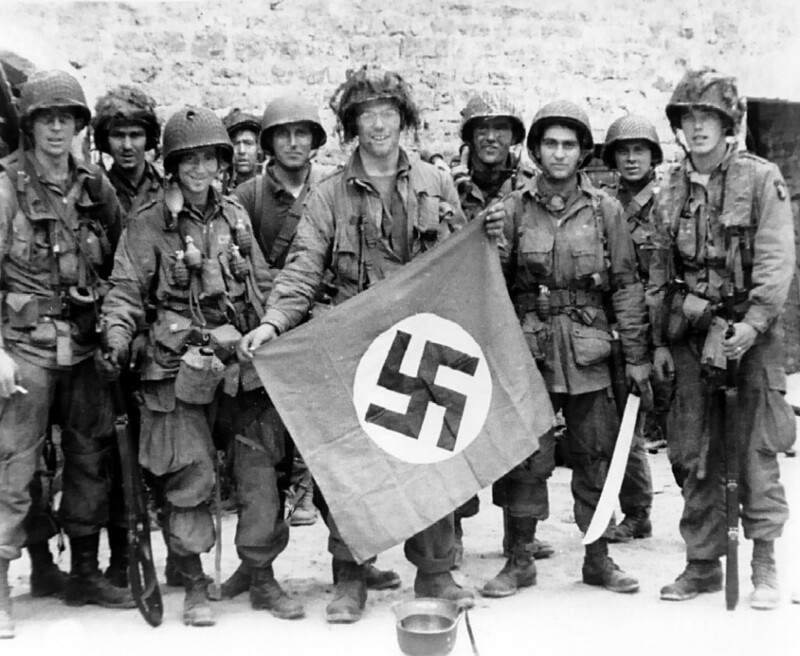 This was the primary weapon for most U.S. soldiers throughout World War II. 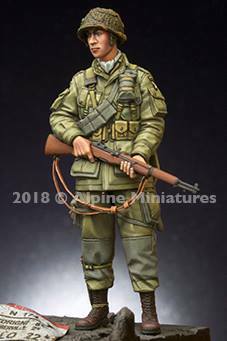 It shot .30-'06 bullets from an eight-round clip, and a paratrooper might typically jump with 136 total rounds of ammunition. The rifle had a maximum effective range of 440 yards, but could still do damage in excess of 1,000 yards. What really made the Garand so effective was its semi-automatic firing. Where the Germans mostly had bolt-action rifles that required the movement of a handle to release spent cartridge casings, the Garand’s trigger could be fired eight times in quick succession. 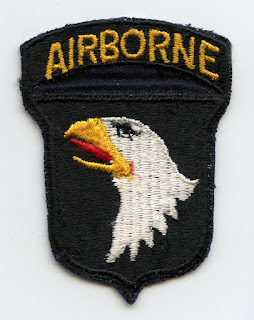 This allowed American soldiers to focus on target acquisition rather than constant cycling of the weapon. he has the M1 bandolier draped over one soldier and the M 1923 ammo pouches on his belt. 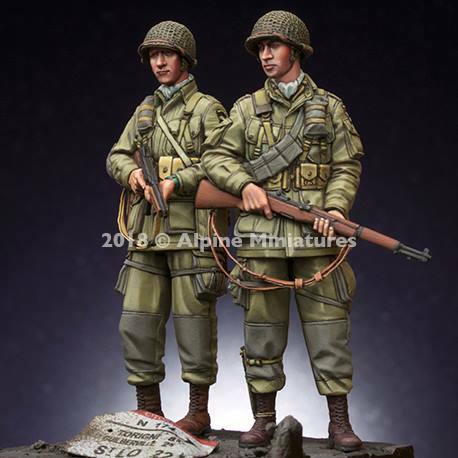 A jacket with the same added pockets on these two soldiers of E company 506th, of the "Screaming Eagles"
These two soldiers are also sold as a set, both with two head choices and both with the same equipment as we looked at earlier. These soldiers are similarly dressed, but the sculptor has made subtle changes in their equipment and faces to denote the uniform, but individual nature of each soldier's dress. 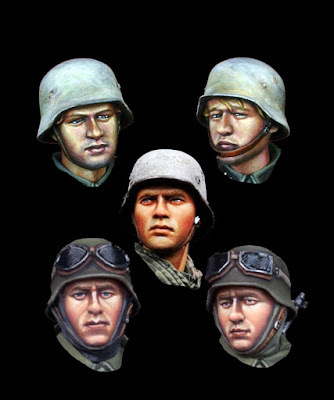 This set includes 5 heads in 1/35 scale. These are sculpts of heads that have already been used for Alpine's other figures but can improve your own, or someone else's figure once swapped out. 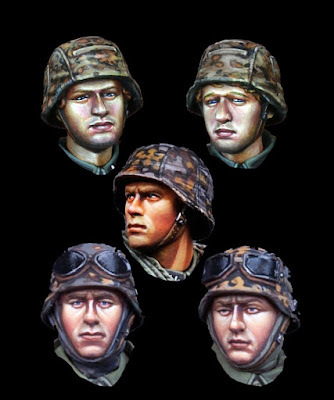 This set includes 5 heads in 1/35 scale that can no doubt improve your own or another kit sculpt with these well-sculpted heads. 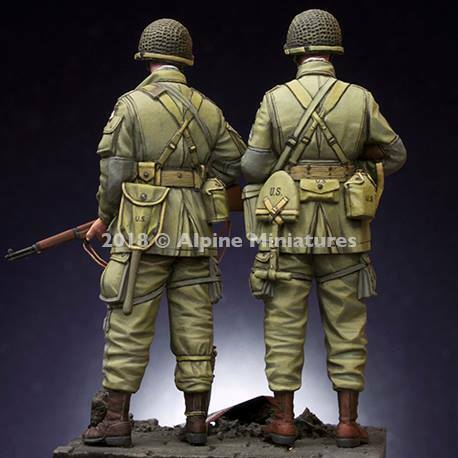 If you are in the USA, you can now purchase Alpine products directly from alpine via their website with free Shipping on all orders within the USA only.